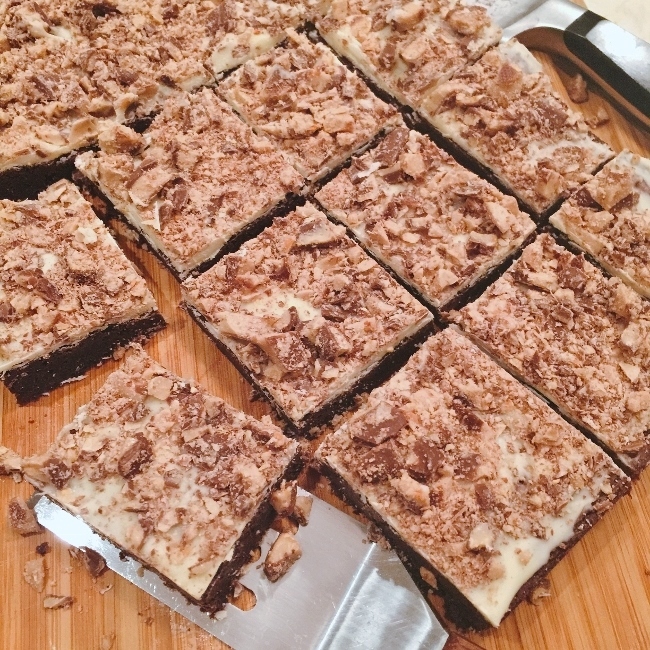 White Chocolate Toffee Brownies - Recipe! - Live. Love. Laugh. Food. Brownies are one of the most versatile desserts because you can top them with any type of nut, chocolate, or candy and make them your own special treat. White Chocolate is my favorite chocolate which is actually a derivative of chocolate consisting of cocoa butter, sugar and milk solids. I am not ashamed to admit that because I love the creamy sweet consistency of white chocolate and I think it makes the best chocolate to spread over the top of a chewy brownie. 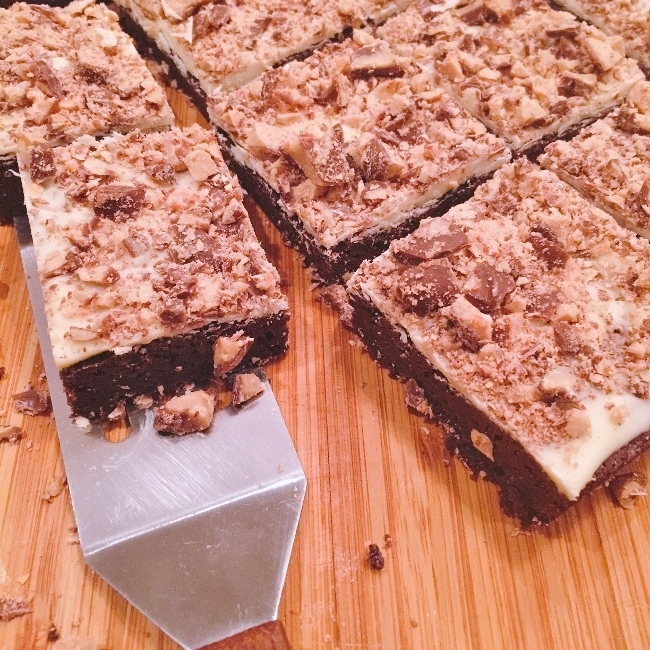 In this recipe I created a toothsome brownie, but then took it a step further and added a thin layer of melted white chocolate and crushed chocolate covered toffee. The combination of gooey, sweet and crunchy sets this brownie into a league of its own. I think the contrasting colors look pretty cool too and keep people guessing as to what is actually in this spectacular brownie combo. These brownies are something more than just an after school treat for the little ones. You can serve them for dessert after dinner or for the ladies in the afternoon. They also store nicely in the refrigerator, so you can slice and serve for days ahead. 1. Preheat oven to 350 degrees. 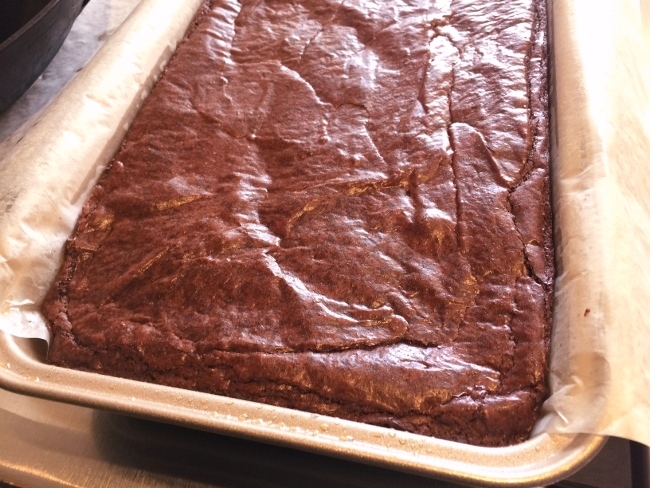 Spray or brush a 9 x 9 or brownie pan with vegetable oil. Place a piece of parchment crosswise in pan with edges hanging over. In a microwave safe bowl, add butter and chocolate. Heat on high for 1 minute. Remove chocolate mixture and stir until smooth. 2. Add sugar, eggs and vanilla to chocolate mixture and stir until smooth, set aside. 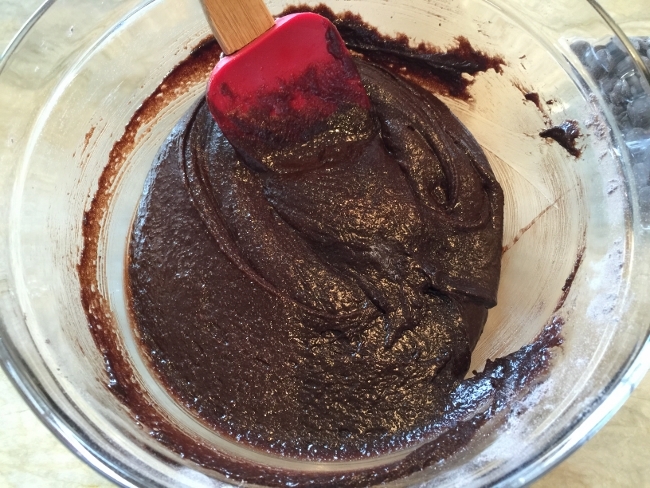 In a large bowl, add flour, cocoa powder, baking powder and salt. Whisk to remove any lumps. 3. Pour chocolate mixture into dry ingredients and stir until combined. Spoon batter into prepared pan and spread until smooth. Bake for 25-30 minutes, do not over bake. Remove from oven and let cool 1 hour. 4. In a glass measuring cup, add chopped white chocolate and vegetable oil. 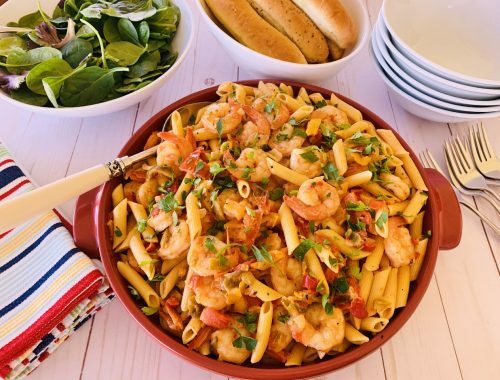 Microwave for 45 seconds. 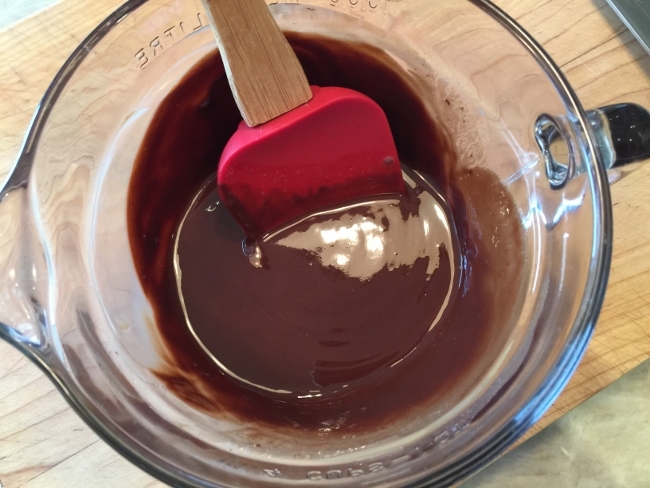 Remove and stir until chocolate is melted and smooth. Pour white chocolate over brownies and spread to cover entire surface. 5. Coarse chop Heath candy bars and sprinkle over brownies. 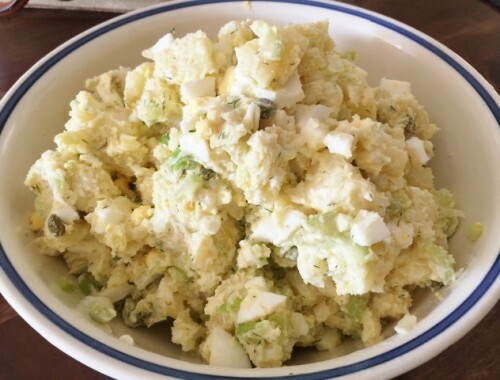 Place in refrigerator to set up for at least 30 minutes or store until ready to slice and serve. Slice brownies into 16 squares. Enjoy! Baking with Gena BellBest BrowniesBrownies RecipesHow to Make BrowniesToffee BrowniesWhite Chocolate Toffee Brownies - Recipe! 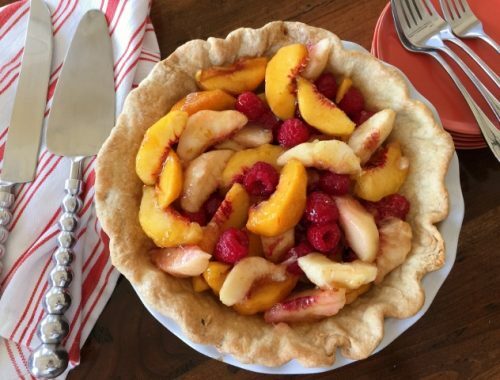 Peach Raspberry Pie – Recipe!